This entry was posted on September 27, 2013 by alliekayglass. 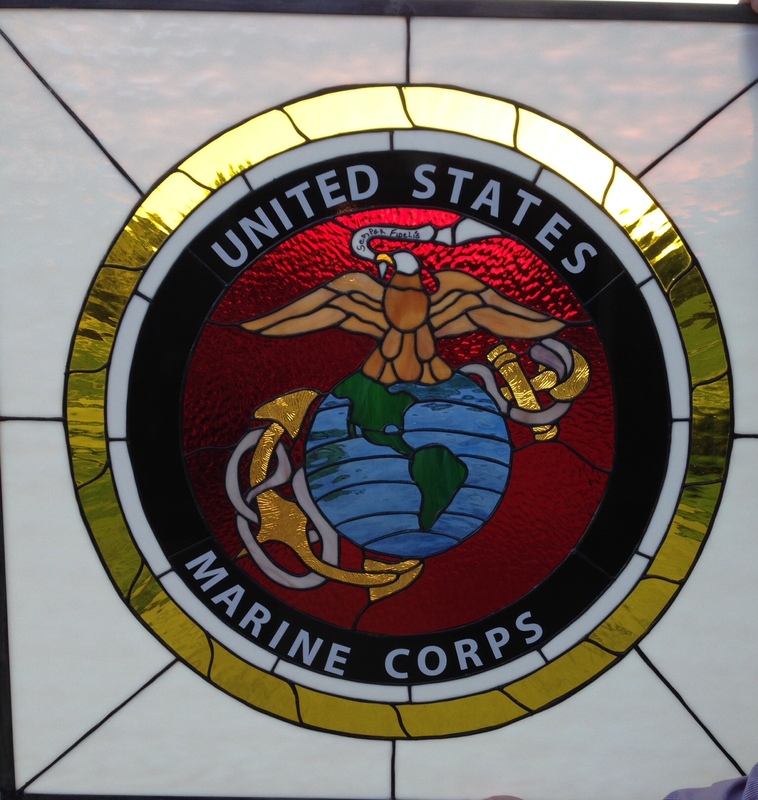 It was filed under Customized Glass, Military Emblems, Stained Glass and was tagged with Glass, Logo, Marine, stained. Can l purchase a copy of the pattern used to create this piece? It is much nicer than most that l have seen. I want to make it into a transom for over my husbands office.